My trip to Copenhagen was extremely short, and my enjoyment of all the city has to offer was limited by several things; post-Oktoberfest exhaustion, the kroner to dollar exchange rate (A club sandwich for $30!? Ghastly! ), a home base outside the center in Frederiksberg, no command of the Danish language whatsoever, and an exceedingly small bicycle with flat tires. Nonetheless, our guides, distant relatives of one of my traveling companions and natives of the city, were exceptionally kind hosts and took us all around the city in an absolute whirlwhind bicycle tour that lasted several days and undoubtedly frustrated all of the bike-riding Danes we encountered as we completely failed to master our hand signals. 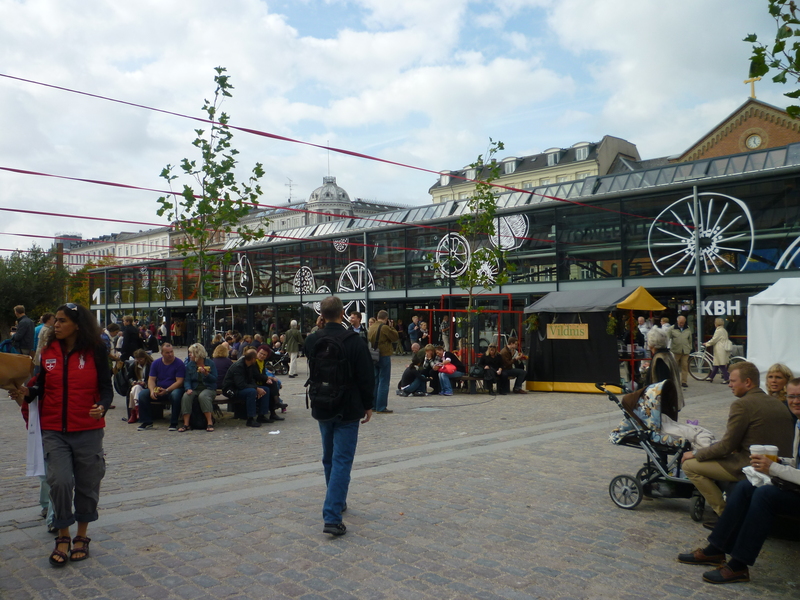 One of the places that we blazed through all too quickly as we made our rounds through the city was the fabulous brand new upscale market called Torvehallerne. Encased in two structures that look like huge glass shipping containers, this market is to Copenhagen what the Ferry Building is to San Francisco, or the Mercado de San Miguel is to Madrid. 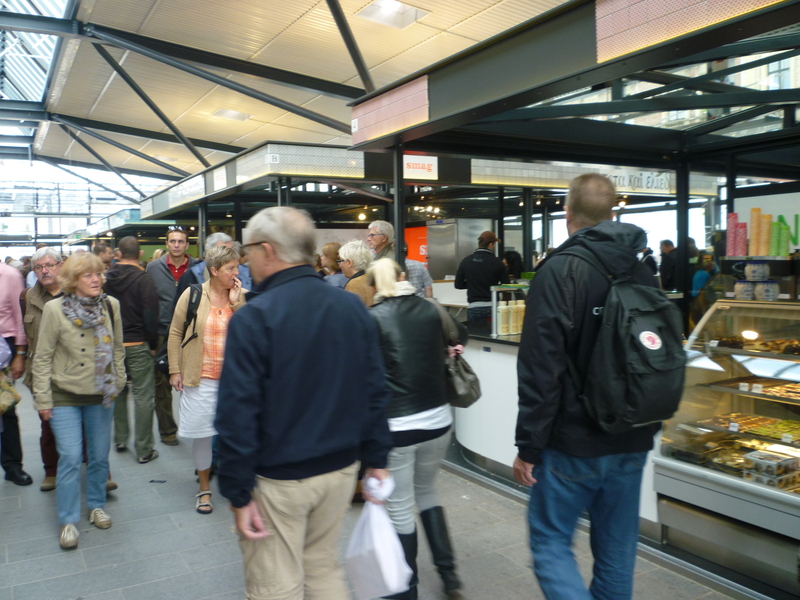 Filled to the brim with beautiful and expensive Danish foodstuffs, I was absolutely overwhelmed by sights, smells, and PRICES. Unfortunately, aside from the fact that we only had about ten minutes in this glorious place, I could afford essentially NOTHING in all of Denmark, and in the end it was probably for the best that I left almost emptyhanded…..ALMOST! I did get one thing and I am oh so glad I did, even though it was the most expensive candy I have ever purchased in my life. One of the stands in the market was selling beautiful little plastic tubs of oddly shaped licorice (lakrids in Danish), like the ones pictured above. Licorice, I’ve noticed, is quite popular throughout Europe in a variety of forms, but in the northern countries, I’ve often encountered a saltier form of the flavor, which I think most Americans expect to be a bit sweeter. Sometimes this saltiness is completely disgusting to me, I must admit, but in Denmark, the flavor started to grow on me a bit. (We even bought a few rolls of these on one of our classy outings to pick up Carlsberg cans at a 7-11…and they were ok!) Being with a Danish person worked to my advantage in this situation as well because my host played me off as a very exciting, curious American eager to sample everything! Something I never could have said on my own, even though apparently 110% of Denmark speaks absolutely flawless English and I was quite eager to sample. I was treated to a number of fantastic and strange flavor combinations (hot pepper, dark chocolate), but finally settled on the one pictured; handmade licorice rolled in passionfruit white chocolate. Weird? Absolutely! Delicious? Most definitely! I was in a bit of a “quick! this place is so cool you must buy SOMETHING” mood, but even after I left the market I kept sneaking into the jar to pop one of the big, weird candies into my mouth. I managed to save most of them and give them to my boyfriend as a gift once I got back. He was at first a little weirded out, which I think is natural considering the flavor combo, but the candies quickly grew on him and he ate every last one before I had a chance to even grab a bite on American soil. A little bit of a tragedy considering that the jar, which contained about 15 pieces, was a whopping $12. If and when I return to Copenhagen, I will make Torvehallerne one of my very first stops (presumably, if I am returning, I will be quite wealthy and will start my visit out with a trip to Noma). I will also be buying more of this licorice. It’s a really unique product with a very sophisticated blend of flavors, presented in a beautiful way. A perfect souvenir!